Hey everyone! I hope you had a lovely weekend, it's been really sunny here for the past few days which has been a nice break from the usual dreary weather, but it's gone back to rain again now. 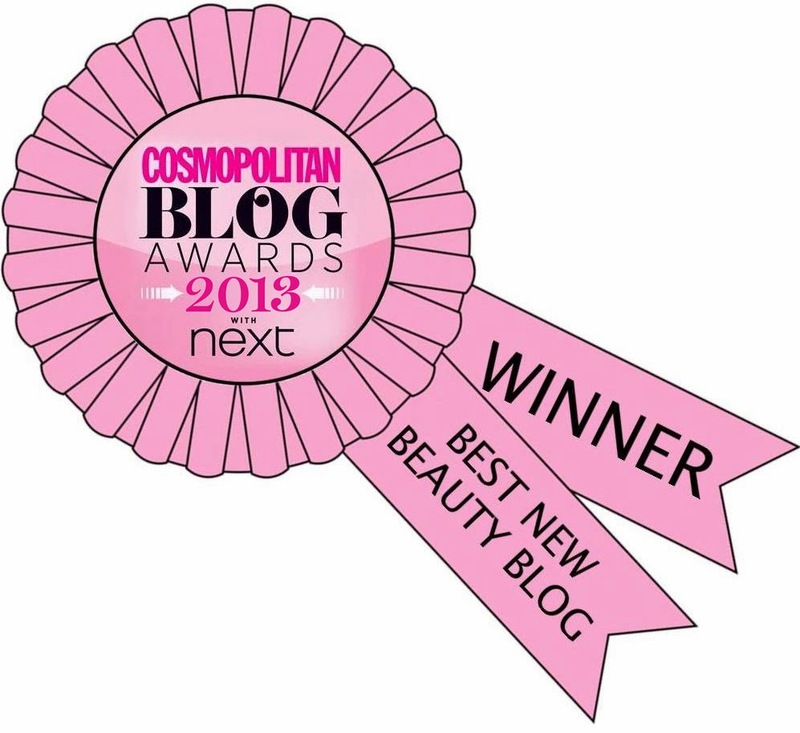 Over the weekend I attended to Scratch Star Awards, where I was shortlisted for Best Nail Blog. Unfortunuately I didn't win, but Sammy did and she definitely deserved it more than I did, her blog is iconic. I'll be doing a full post on the event (and my nails of course) in the next few days but I wanted to post a tutorial today, as it's been so long since I did 'tutorial tuesday'. Today's tutorial is for these cute and simple floral stripes. I've done designs similar to this in the past using different shades, but it's always nice to see how I've progressed and also experiment with different colours against 'old' designs. 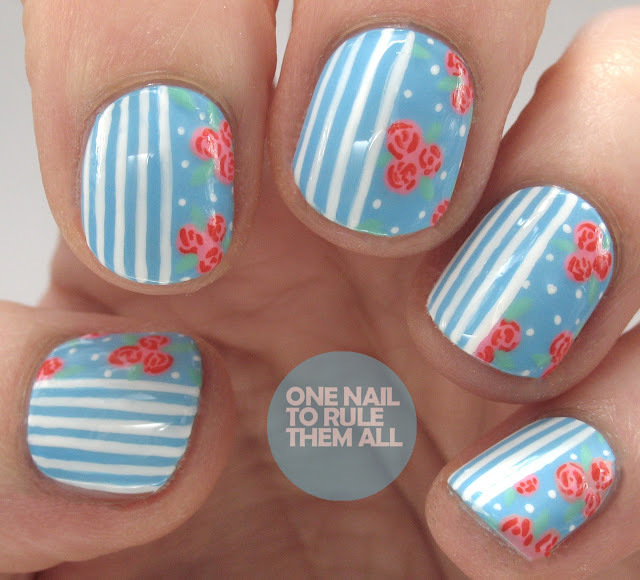 You also can't go wrong with an easy combination of flowers and stripes. I was asked my Barry M to create some tutorials using their spring releases back in March, and this was one of the looks I created using the Sunset Gel polishes*. Tutorial is after the jump. 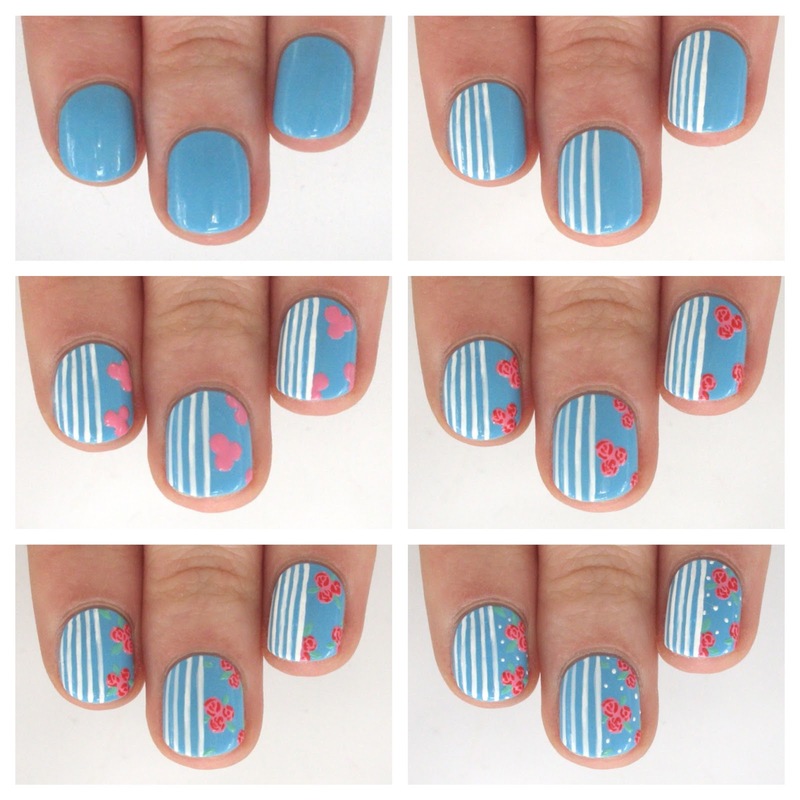 Step 1: Paint your nails with your chosen base colour, it doesn't have to be blue. I've done this in the past with lilac, but it's totally up to you. Step 6: Using the tip of a brush or a nail art pen add white dots in between the roses. When dry, add topcoat to seal in your design. If you create this yourself, please show me on my Twitter, Facebook or Instagram - I'd love to see! love the tutorial. such a cute design!!! Awwww....so beautiful. I love the colors used and super love the design as well. Love it!! !